Solar panel installations are expensive. The cost is not only in the solar panels themselves, but in additional components, installation, and electrical work. In 2017, homeowners are paying between $2.87 and $3.85 per watt for solar installations. This means that a 5kW installation (a rather small system) can range anywhere from $14,350 to $19250. The average cost of all solar panel installations (before tax credits) so far in 2017 is $16,800. Loan – This is pretty straightforward. A solar loan works the same way an auto or home loan works. You go to a financial institution and obtain a loan for the installation and you pay for it over time with interest. Lease – This is also pretty straightforward, it works just like a car lease. SolarCity, one of the top solar lease providers, has a 20 year lease where you simply make payments every month and enjoy the benefits of solar energy. So What Is a Power Purchase Agreement? A power purchase agreement is an agreement wherein a solar company covers much of the cost of installing a solar system on your home, and then simply charges you for the energy produced. The idea is that the homeowner doesn’t have to pay for the system upfront but can still benefit from decreased utility bills. A power purchase agreement for residential homes typically lasts 20 to 25 years. The homeowner is free to buy the system at any point during the lease term. Once the agreement ends, you can either buy the system, have the company remove it, or renew the agreement. The solar company will reap all the benefits of tax credits and other financial incentives. This isn’t a huge drawback, as you will still definitely save on your energy bill. It makes it a bit harder to move houses. Because the PPAs are usually over 20 years long, it means you have to transfer the solar system to the new owner of the house which can cause all kinds of hassles in itself. 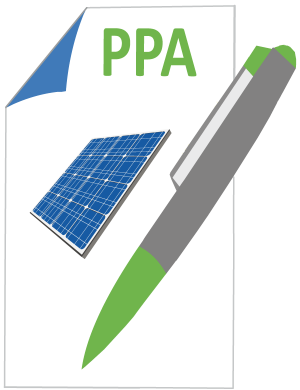 The PPA typically means that the price you’re paying for solar power increases year by year. However, it is usually much less than the price increase of your utility bill. Is a Power Purchase Agreement a Good Idea? In the last couple of years, solar financing has become much more accessible. SolarCity, one of the largest solar lease and PPA providers, has seen a decline in market share as more homeowners are able to get reasonable loan rates to buy their own solar panel systems. When you finance your own solar installation, you get the benefits of energy savings as well as the tax credits and other financial incentives. PPAs can still make sense, especially if you have bad credit or if you live in an area with extremely high energy prices. Not everyone wants to be saddled with a $20,000 loan when they could put little to zero money down and start reaping the benefits of solar energy for their home. PPAs can be a bit restrictive but they are not the worst method to go solar with. Curious about your options for going solar in Houston, Arizona or Las Vegas? Check out these pages for more detailed information about going solar in your area!